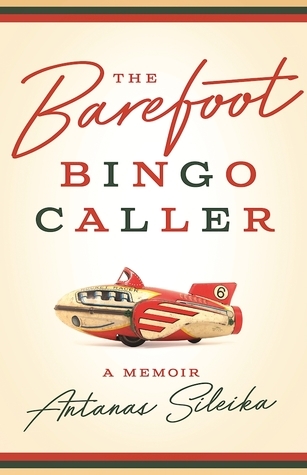 From Goodreads ~ In "The Barefoot Bingo Caller", Antanas Sileika finds what’s funny and touching in the most unlikely places, from the bingo hall to the collapsing Soviet Union. He shares stories that span his attempts to shake off his suburban, ethnic, folk-dancing childhood to his divided allegiance as a Lithuanian-Canadian father. Antanas has a keen eye for social comedy, bringing to life such memorable characters as ageing beat poets, oblivious college students, the queen of the booze cans, and an obdurate porcupine. Passing through places as varied as the prime minister’s office and the streets of Paris, these wry and moving dispatches on work and family, art, and identity are ones to be shared and savoured. Antanas Sileika is a Canadian novelist and critic. 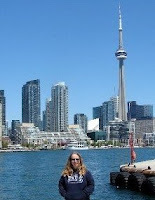 He was born in Weston (then a suburb of Toronto, now part of Toronto), the son of Lithuanian-born parents. His parents still had their Lithuanian traditions which was a bit of a conflict (though respectful) for a young boy and man born here in Canada and wanting to enjoy the era of Woodstock, hippies and free love. This is a collection of 17 stories of his life. They include when he is a young boy and he and his buddies are obsessed with building toy rockets, how his parents made him take Lithuanian folk dancing, his summer jobs when he was in university, living in Paris to be with his now-wife, teaching English to immigrants newly arrived in Canada, heading to the Soviet Union to write a political piece, returning to his parents homeland, and more. Some stories are cute while others are more serious. Before I came across this book, I hadn't heard of Antanas. I found his writing amusing and engaging, even when he was writing about the more serious things.